This month Auto Group Leasing teamed up with Members First Credit Union to bring you our Grand Re-Opening Sales Event. Auto Group has always prided themselves on being a business that gives back to the local community. 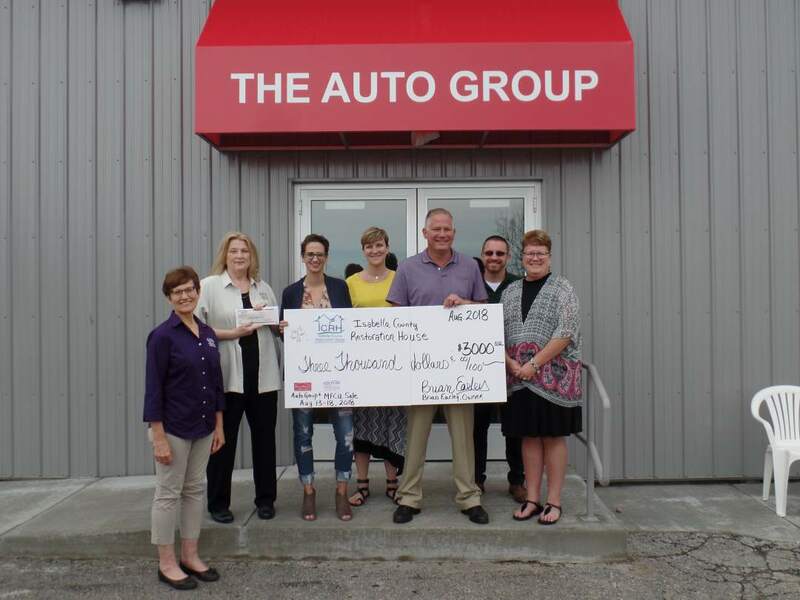 During our Grand Re-Opening Sale, Auto Group Leasing pledged that for every vehicle sold, we would donate $100 to Isabella County Restoration House. During our six day sale, we were able to sell 30 vehicles for an Auto Group donation amount of $3,000. Members First Credit Union also contributed $1,800, bringing our total donation to $4,800 for Isabella County Restoration House! We'd like to thank everybody who participated in this event, and everyone who purchased a vehicle; you all are a part of the Auto Group Family that made this possible! Also special thanks to TWIN TURBO BBQ and 94.5 The Moose for stopping by and helping the cause!